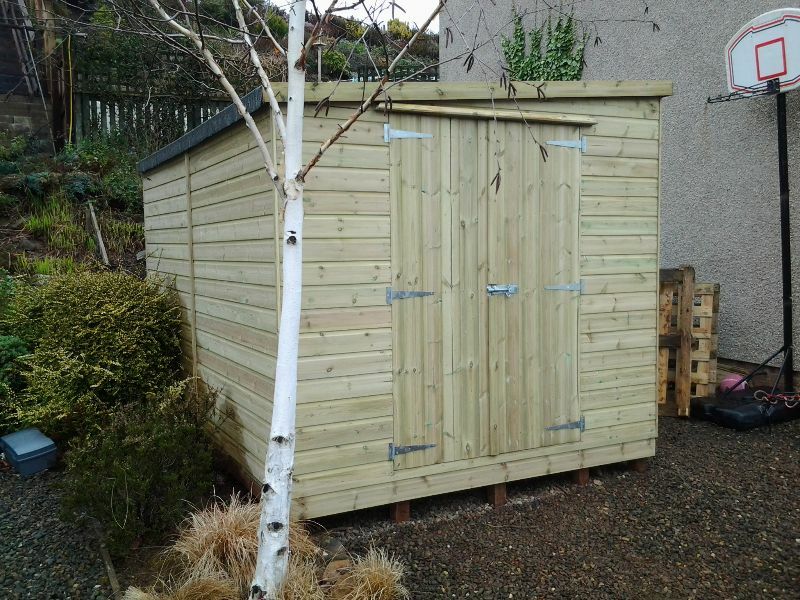 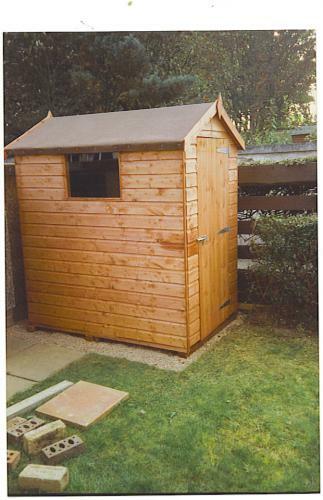 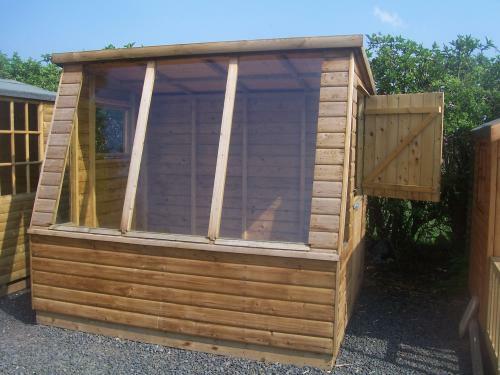 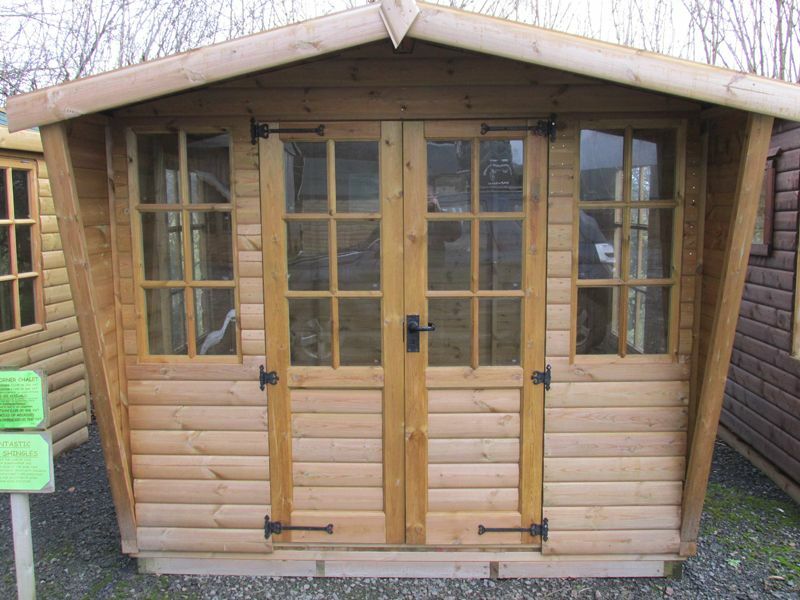 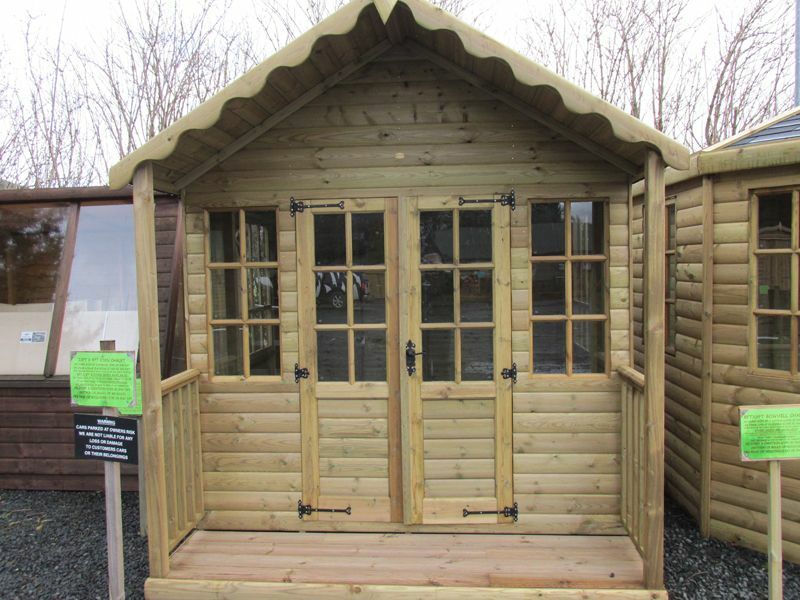 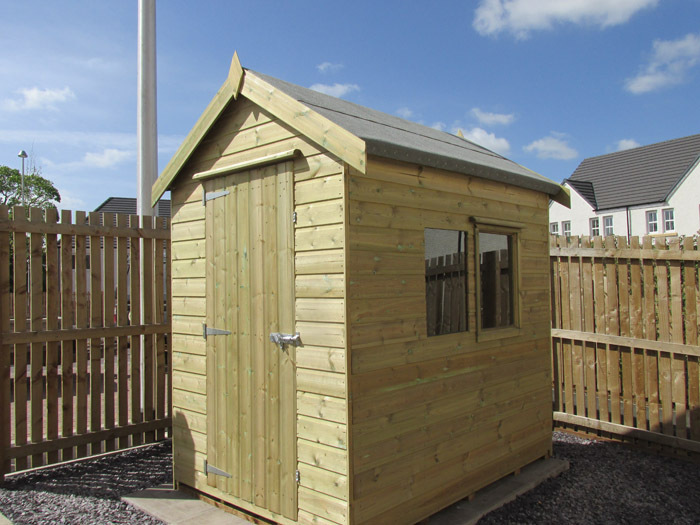 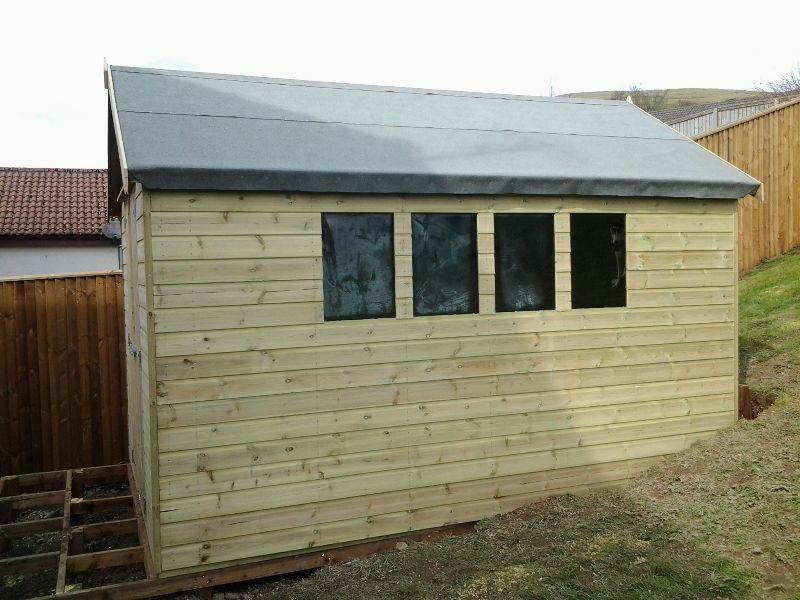 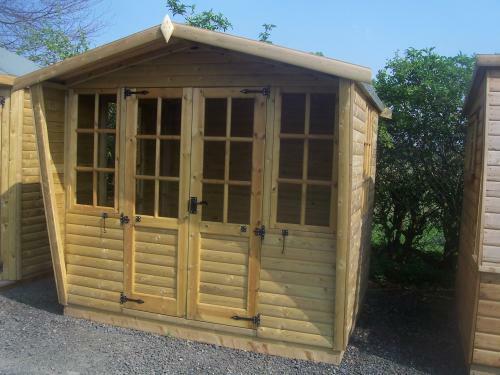 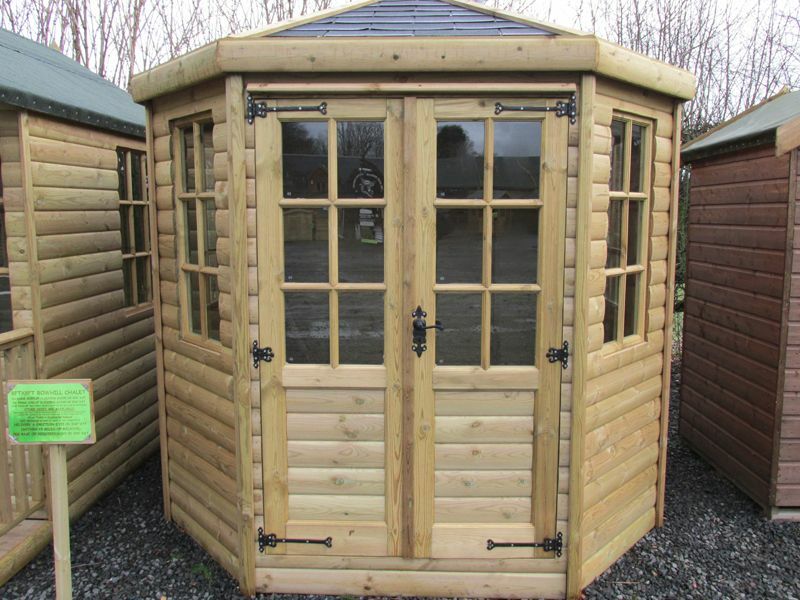 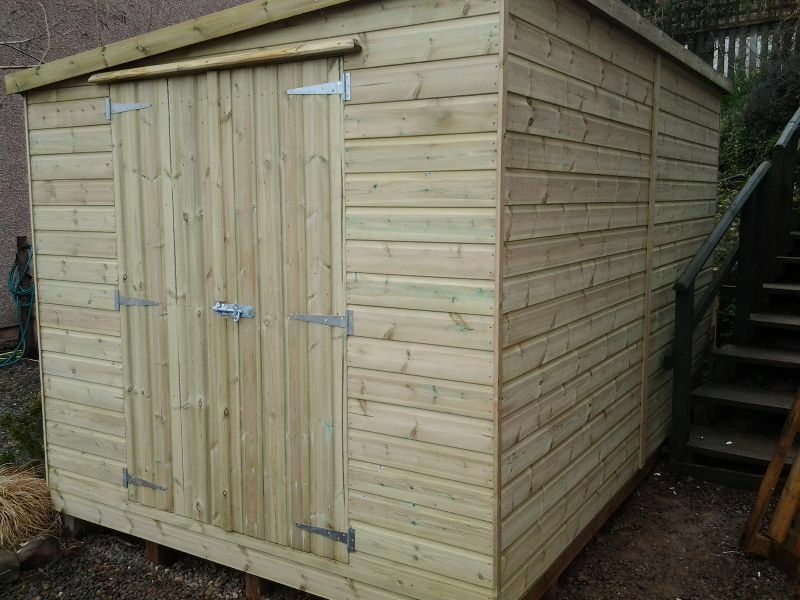 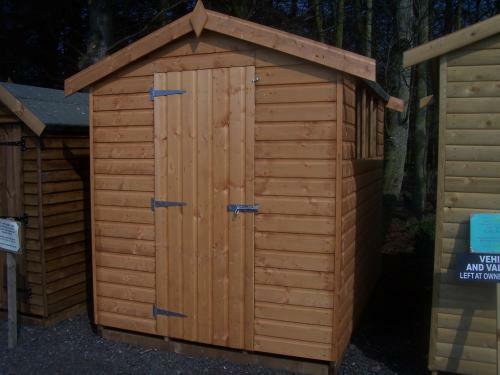 Our range of Glentress Sheds have a massive 6ft eave height and are available with either an Apex (Peaked) or Pent (Single Sloping) roof. 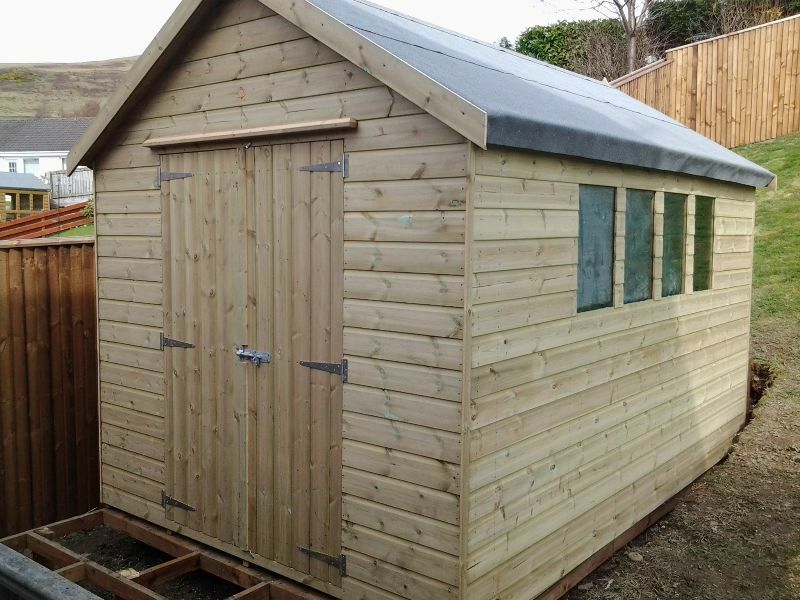 They have a 25mm thick tongue & groove floor and 20mm thick tongue & groove roof for added strength, ex 16mm Shiplap tongue & groove cladding which is constructed using quality Scandinavian FSC grade timber throughout (No Chipboard or OSB here!). 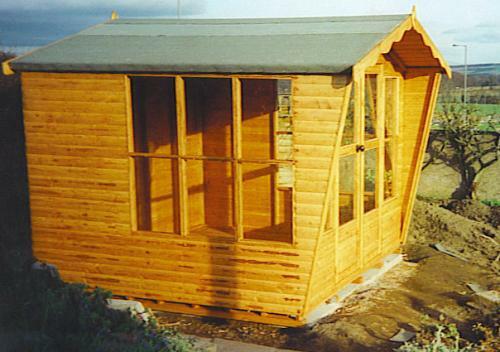 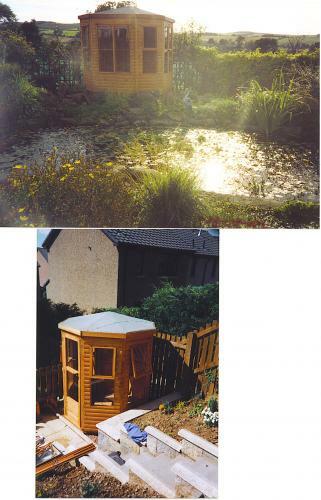 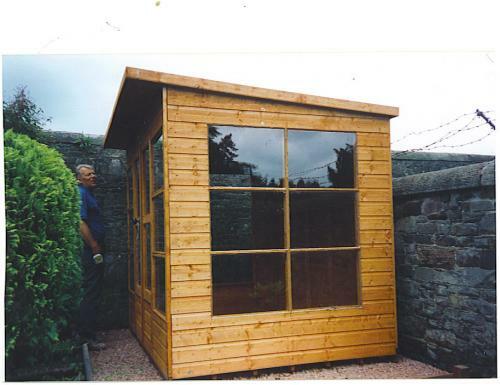 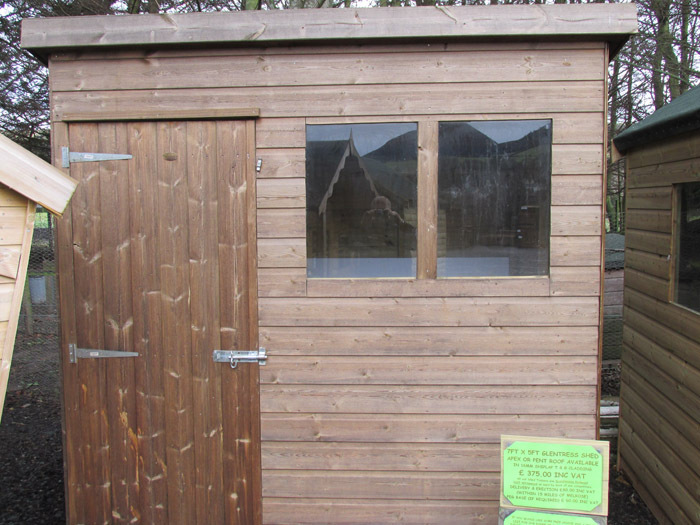 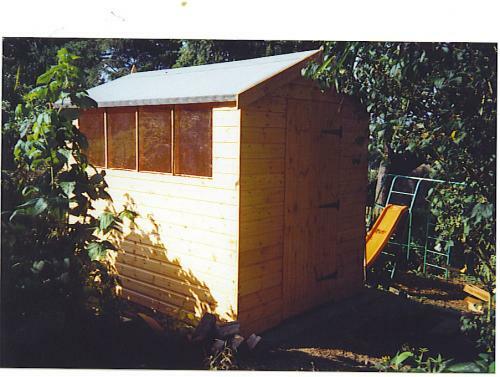 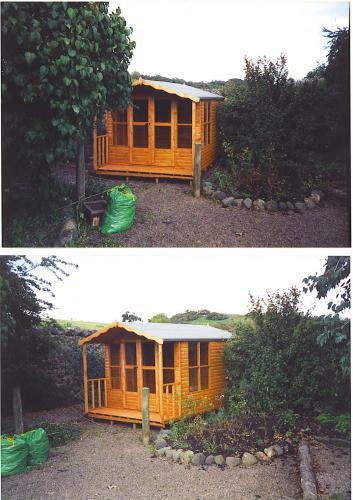 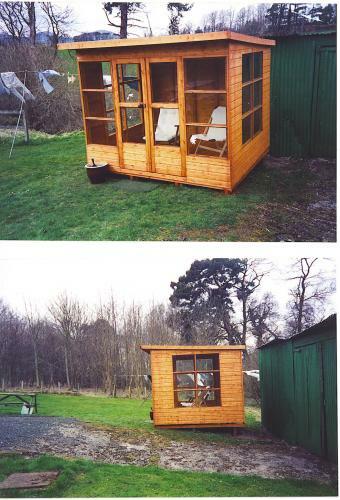 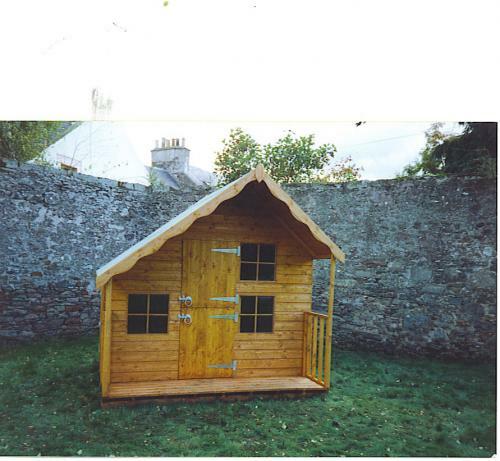 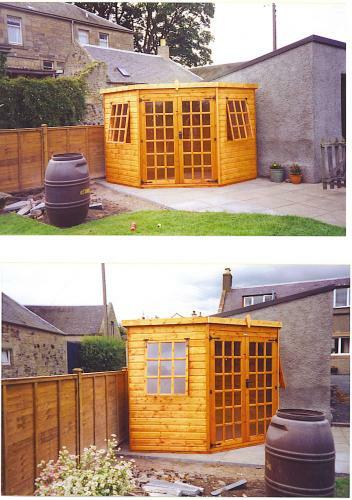 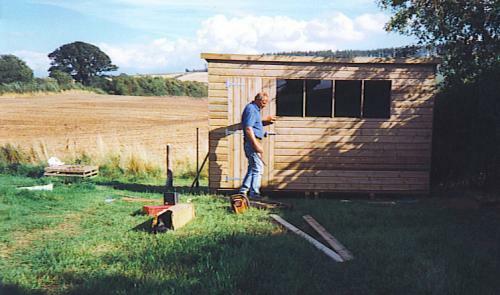 With the taller eave height on the Glentress shed we can offer to install the door under the eaves if required.